The Which? Awards take place every year in May. Since 2015, the final award of each ceremony is the Trader of Year award. 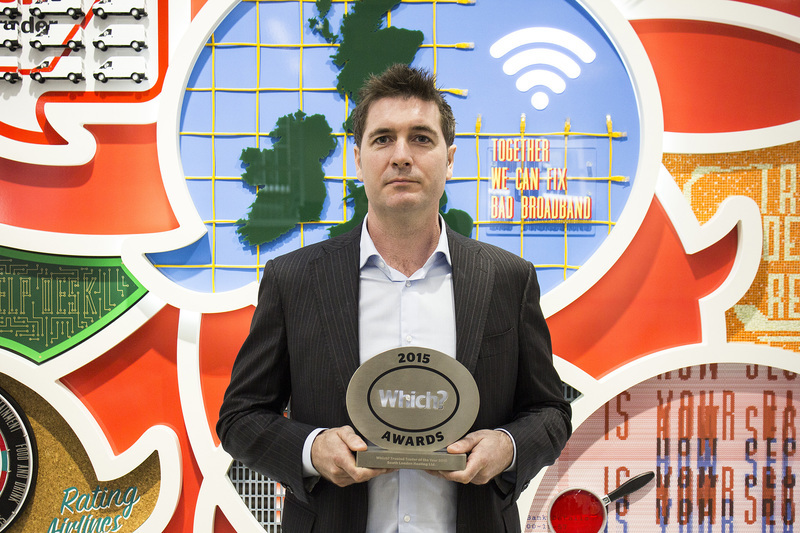 Winning this is a huge accolade for any business, elevating it above thousands of others on the Which? Trusted Traders scheme. You also get to share a stage with huge companies such as Apple, Samsung and Marks & Spencer, to name just a few. A first step towards becoming Trader of the Year can be to win the Which? Trusted trader of the month award. You don’t have to be a Which? Trusted trader of the month to become the Trader of the Year, but it can help. All the winners of Which? Trusted trader of the month are automatically put on the longlist for the Trader of the Year award. Colin Morgan – Homeglaze Ltd – Trader of the Year 2017. 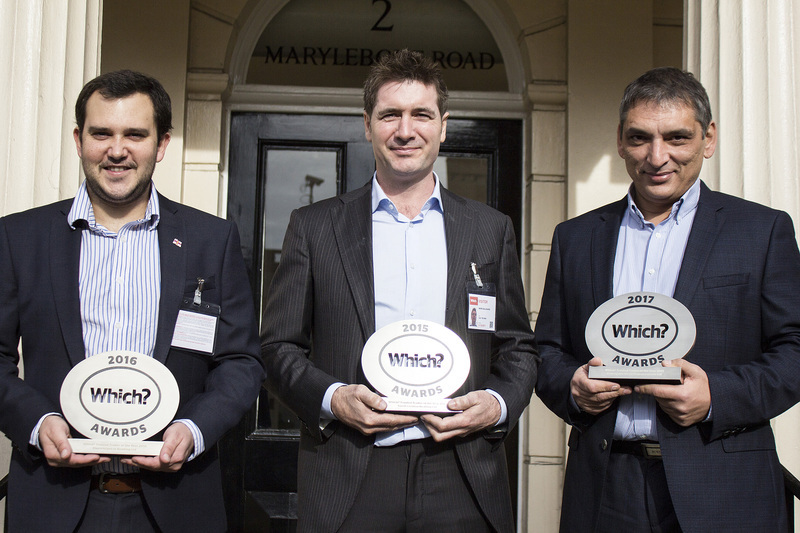 You can find out more about Homeglaze Ltd’s route to success, or read on for insight from our winners. What was it like being nominated? Colin: ‘I think that’s like winning an award itself. Being shortlisted, out of thousands of companies, is an achievement in itself. Mark: The way I look at it, mine was the only heating company nominated [in 2015], so even if I didn’t win, I was a winner by being nominated anyway. Colin: I do think if you’re nominated, that people ought to prepare a speech. You don’t want to be too presumptuous, but when you get up there and you’ve got to do it – it was scary. I really didn’t prepare anything. Mark: No, I didn’t – I wanted my speech to come from the heart if I did win. Colin: You’ve just got to get the words out, whereas the CEOs of big companies come up, they’ve got fantastic speeches, all word perfect. Chris: I couldn’t get the words out because I was so emotional. Chris: Afterwards, some of the guys from the larger companies did say it was the only speech that felt real, because they could tell it hadn’t been planned. Mark: It was a bit of a shock. But it was very exciting. I jumped up there and was presented with the award, and I’m very proud about it. Colin: I was very, very nervous on the day, and we didn’t go in there thinking we were going to win, although normally I’m very positive. I didn’t have a speech lined up, as you can tell by what I said. Is there anything that happened that you didn’t expect? Colin: I won, I didn’t expect that. There were no clues on the day. That’s what makes the day. You’d lose the anticipation otherwise – it was a great experience. Mark: Yes, winning it took me by surprise. I didn’t expect to have an interview afterwards with the BBC’s Steph McGovern. But winning the award and then coming back and using it to grow the business was an amazing experience. Watch the interview with Mark. Mark: At the time the award was given to me, we were just in the process of trying to expand, and winning the award just accelerated that. Since winning the award I’ve had great recognition, and I’ve definitely seen an increase in interest in the company. It’s great to be rewarded for the hard work, and because we take so much pride in the work we do. We continue to invest in quality and strive to maintain an excellent standard of customer service. It’s great to have that endorsement from Which? Colin: We’ve just found the whole thing has been brilliant. The business has been amazing – the first two or three months after the award, we couldn’t cope, we didn’t have the manpower for the amount of business coming in. There are more and more traders on the scheme now – so each year the award gets bigger. 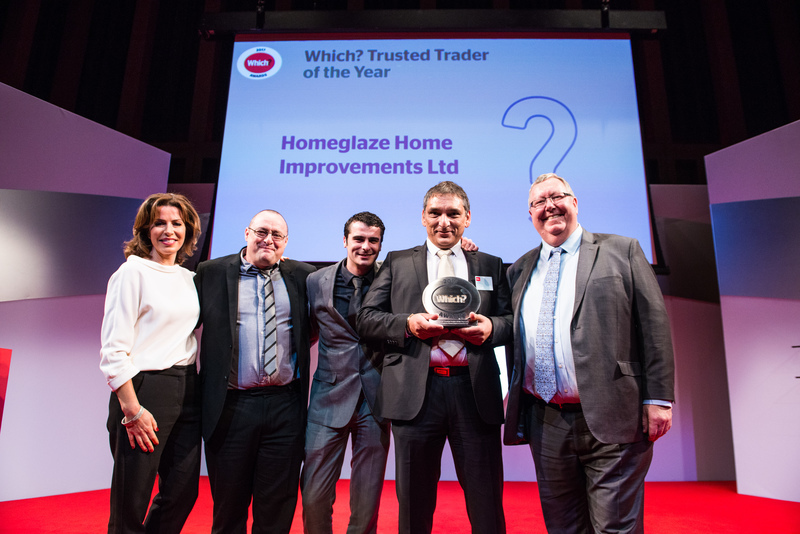 Watch the video about Homeglaze’s win of Trader of the Year. How was your win received within your industry as a whole? Colin: Funnily enough, I’ve had a lot of big companies phone me up and say they think the award is doing the industry good. Historically, window companies didn’t have the greatest reputation, and they’re really pleased that a window company won. Mark: Yes, I was definitely going into merchants, getting materials and supplies, and they were discussing it with me in there – all wanting to know how to win. We had support from heating manufacturers, suppliers and local media. A lot of people felt proud of us for winning the award. What do customers expect from the Trader of the Year? Chris: I was incredibly careful in the run-up to the awards. There’s so much more expected of you. If you’ve done something wrong, the customer can say: ‘You’re supposed to be the Trader of the Year!’ So you have to correct it and try and make them happy. Mark: I think it comes with great responsibility, being Trader of the Year - customers expect that you’ll be the best. So I take this responsibility very seriously, as I did before I won it in the first place, and make sure we’re doing excellent work, with top customer service, and keeping the customers happy. Colin: I think you can do a good job, then you can go a bit further and do an amazing job. That’s why we won, because we will go a bit further. Colin: We will do stuff that other people won’t do – that’s what these customers are expecting. Levels of service have to be very high. What advice would you give to other Which? Trusted traders who want to achieve what you have? Mark: I was doing what I’ve always done. Doing a really good job, having happy customers. I didn’t expect to win. But Which? looked into the business and the references, and felt that I was the winner. So my advice would be, just do a really good job and treat the customers how you want to be treated. Colin: I’d say look at the previous winners, social media, everything – there are lessons to be learned. Do what you can to keep the reviews at a very high standard and coming in on a regular basis. So other traders need to do everything right, keep all their customers happy – anything else they need to do? Mark: Take pride in your work. Colin: Think of the bigger picture, once you’ve won the award. It sets you apart from everyone else. Chris: Involve yourself with Which? as well. Don’t just leave the logo sitting on your website. Take pictures of your work, be a bit cheesy, hold the Which? Trusted Traders logo up to say you’re proud of what you’ve done there. Show Which? Trusted Traders that you’re proud of it and you’re doing more than what’s expected. It’s not just a logo on the website, you’re taking it seriously and what it means. The 2018 Which? 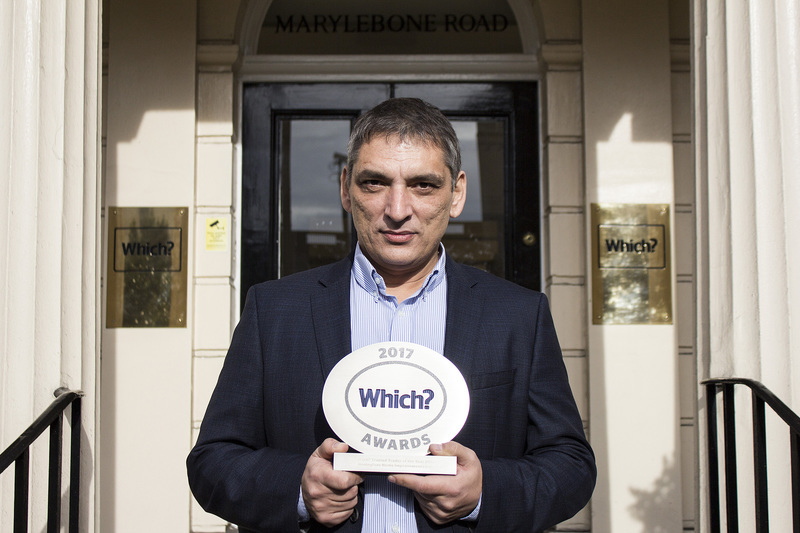 Awards, including Trader of the Year, take place in London in May. Nominees will be announced on social media and on the website in the run-up to the ceremony. If you want to be in with a chance of winning, check our selection process for Which? Trusted trader of the month as a starting point.